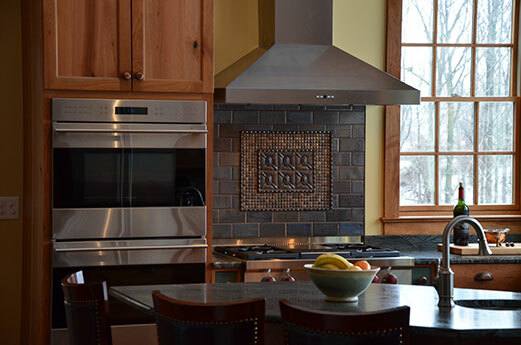 This kitchen provides a drive-in theater-sized view of the bucolic landscape beyond while providing an enriching family gathering spot and functional work area for a family of six, including teenagers and seniors, and the frequent entertaining of friends and extended family. 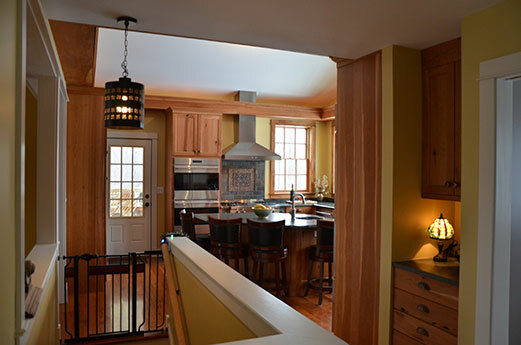 The design provides a kitchen that fits a modern lifestyle while respecting the rest of the early 19th century house. 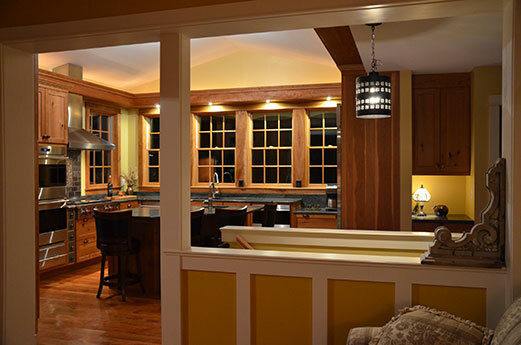 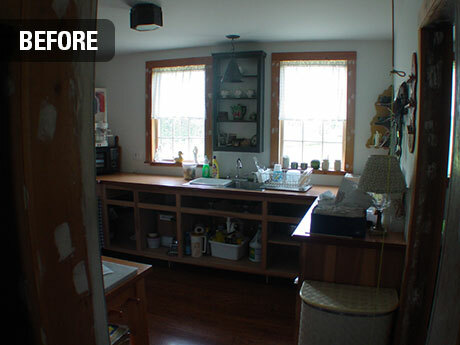 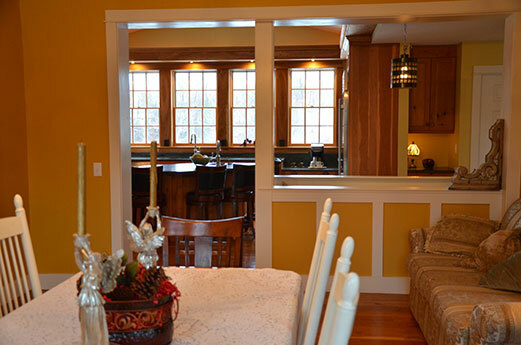 Locally harvested and milled knotty cherry was used for flooring, casing, and trim to coordinate with the cherry cabinetry. 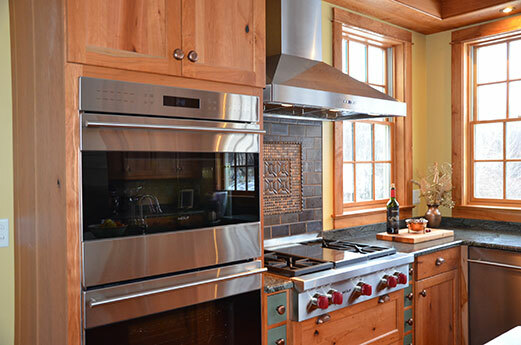 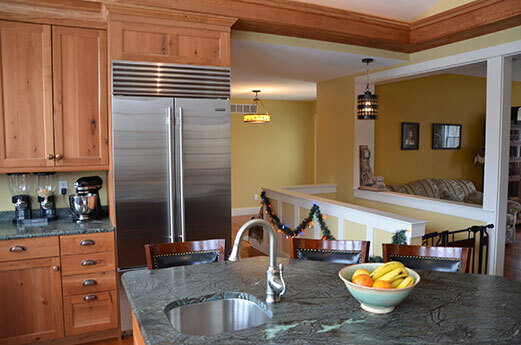 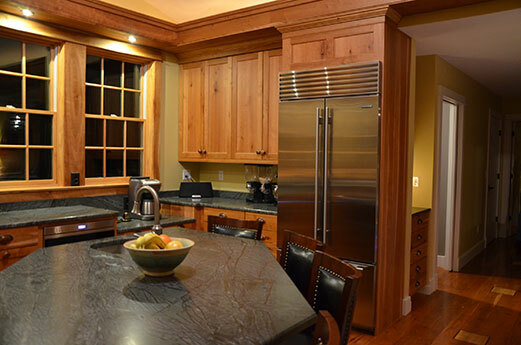 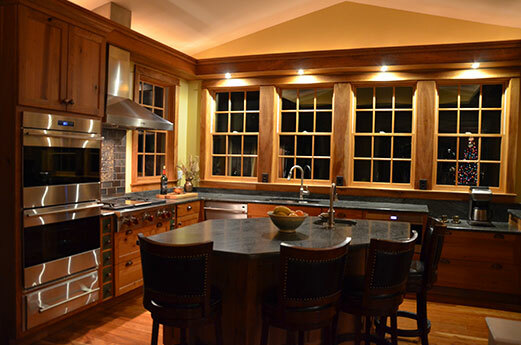 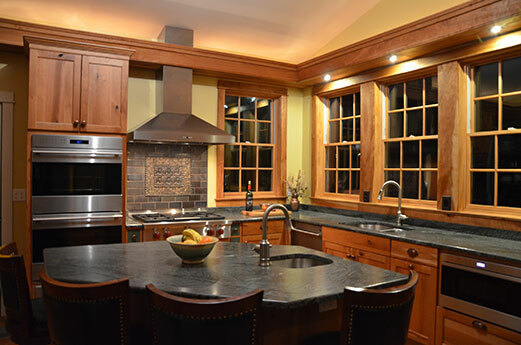 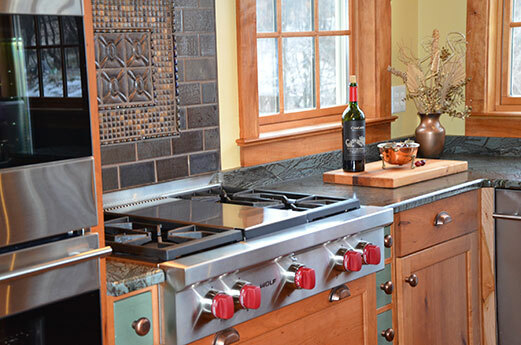 Green iron soapstone counters compliment the stainless steel appliances and the warmth of the cherry.